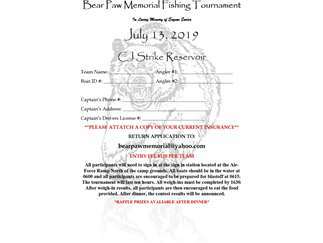 In dedication to Eugene Enrico who lost his battle with cancer, the Bear Paw Memorial Fishing Tournament was created to remember his love for nature and his love for bass fishing. This is a total weight bass tournament held on July 13, 2019 at the CJ Strike Reservoir near Mountain Home. There will be a chance to win prizes, but more importantly, a percentage of the proceeds will be donated to a cancer research/cancer support charity to help fight the #1 killer across the globe. All are encouraged to apply and we would be open to all the help we could get. 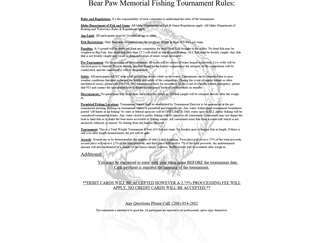 Please visit our website at https://bearpawmemorial.wixsite.com/tournament to download an application. We hope to hear from you, but more importantly we hope to see a fish on the end of your line! Thank You! 2019 ICA Summer Classic at Simplot Room, Student Union Bldg.